If there’s one thing a strong girl needs, it’s her voice. 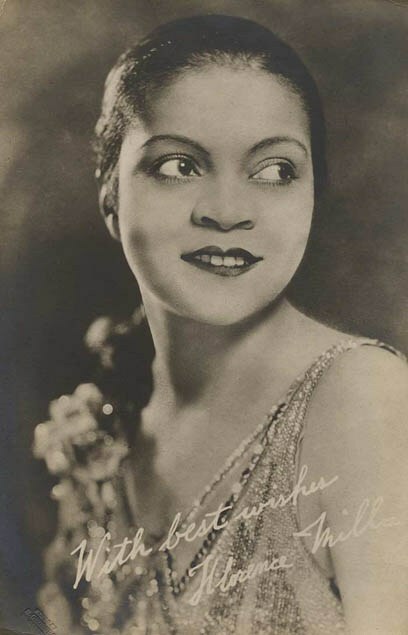 And no one of her era had a lovelier voice than Florence Mills, the legendary singer and stage actress of the early 1920s. In Renée Watson’s picture book, Harlem’s Little Blackbird, we meet Florence in Washington DC, where she was born to formerly enslaved parents. As she grows and plays in school, she discovers the power of her singing voice to take her from her modest Washington DC neighborhood all the way to the grand stages of Europe. “If my voice can take me around the world, what else can it do?” she wonders. Lots, as it turns out. Florence Mills’ impact went beyond entertainment. She refused performances at whites-only establishments, and at her death, she was mourned not only for her talent and beauty but also for her convictions during the Harlem Renaissance. Christian Robinson’s illustrations are simple and collage-like, infused with the bright colors and cityscapes that Renée Watson calls up in the text. Read more about Florence Mills.